a collectively-run urban farm in Omaha, Nebraska providing fresh and diverse fruits, veggies and herbs to our local community! Growing great food is better together! We have volunteer nights every Tuesday evening from 5pm to dusk at our plot on 33rd and California Street! 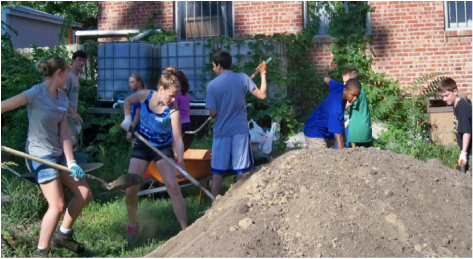 Click the picture above to join our "Muddy Buddies" group on Facebook, for up-to-date info on volunteer opportunities.